The Brunei Ministry of Health could complete and outfit this new building, housing two, large, and complex centers, because The Innova Group expertly planned, specified, purchased, and coordinated the installation of all the medical equipment with minimal support. Starting the process with small clinical programs and limited staff, the Ministry needed a medical technology team that could deliver from start to finish – providing advice at all levels, guiding and managing external staff, coordinating with regional vendors, and assuring quality controls at every step. With their deep understanding of planning, procurement coordination, delivery scheduling, preparation, and installation/fit-out of medical equipment, The Innova Group facilitated the opening of these highly specialized, large, medical centers. The team worked directly with the architects, engineers, and clinical staff to select appropriate medical equipment – identifying the latest technologies for innovative treatment – and then provided on-site supervision of key phases of work, assisting the client with procurement and installation oversight. Opened in late 2016, this facility serves as the only cancer treatment facility in the country and as a neurological disorder facility specializing in stroke treatment and rehabilitation. 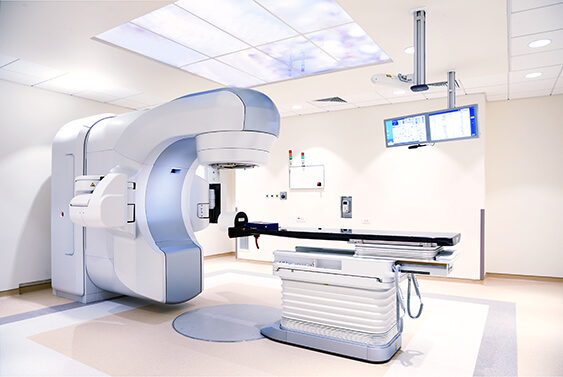 It includes state of the art stereotactic radiotherapy systems, molecular imaging, on-site cyclotron and radiopharmacy, hybrid angiographic surgical suite, fully integrated surgical suites, modular operating theaters and fully developed neurologic rehabilitation services and facilities. It is a shining example of a fully modern, state-of-the-art cancer and neurological disorder treatment facility in Brunei’s capital Bandar Seri Begawan.